This newly revised and updated edition of Paul U. Unschuld’s original 1986 groundbreaking translation reflects the latest philological, methodological, and sinological standards of the past thirty years. The Nan Jing was compiled in China during the first century C.E., marking both an apex and a conclusion to the initial development stages of Chinese medicine. Based on the doctrines of the Five Phases and yinyang, the Nan Jing covers all aspects of theoretical and practical health care in an unusually systematic fashion. Most important is its innovative discussion of pulse diagnosis and needle treatment. This new edition also includes selected commentaries by twenty Chinese and Japanese authors from the past seventeen centuries. The commentaries provide insights into the processes of reception and transmission of ancient Chinese concepts from the Han era to the present time. 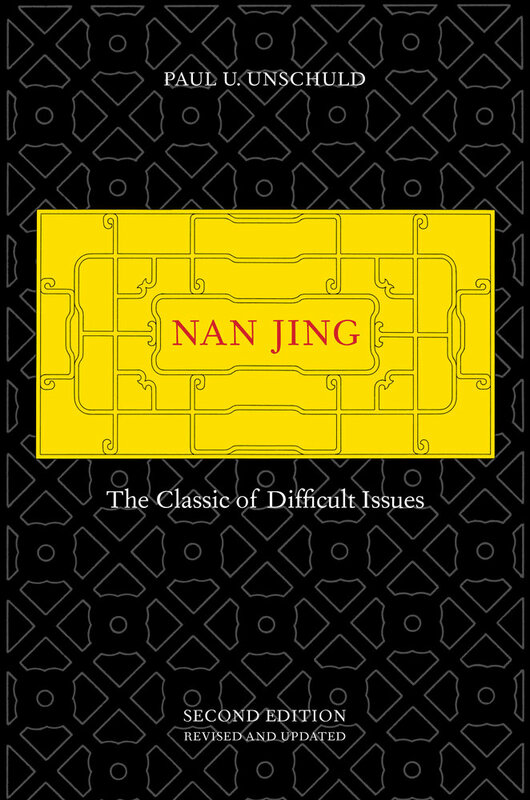 Together with the Huang Di Nei Jing Su Wen and the Huang Di Nei Jing Ling Shu, this new translation of the Nan Jing constitutes a trilogy of writings offering scholars and practitioners today unprecedented insights into the beginnings of a two-millennium tradition of what was a revolutionary understanding of human physiology and pathology.